Many books have been written about this subject by some high profile authors, but the twist to this story is that Joan was taken out of a nursing home because of the abuse and neglect she was subjected to. Joan was cared for by her daughter for the last three years of her life. This is not simply a story about somebody with Alzheimer's Dementia, this is about relationships and how the twist and turns of life can alter perceptions and parameters, make or break family ties and friendships. How, from the depths of despair, the human spirit can fight its way to the surface and soar. 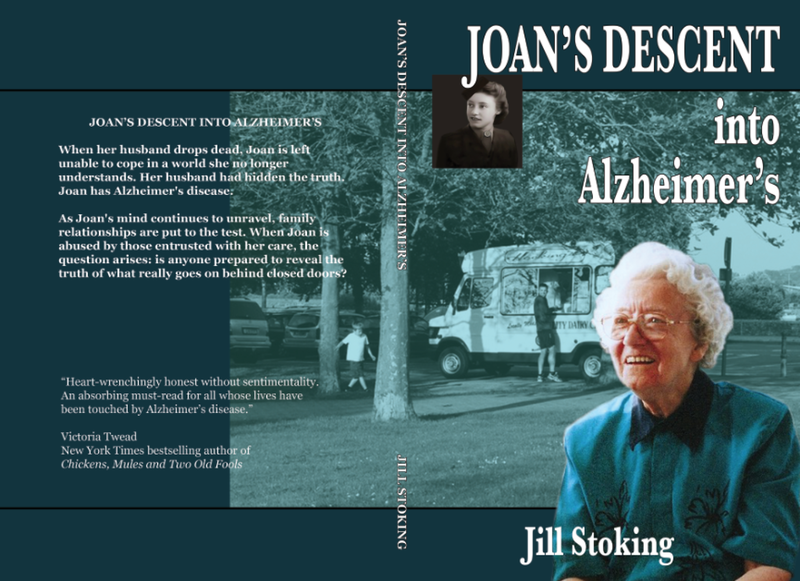 ​Joan's Descent into Alzheimer's has now been published on Amazon as a kindle book and paperback. Joan's Descent into Alzheimer's is also available to Amazon Prime members.